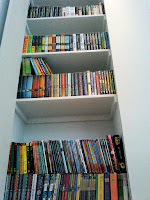 In our School Library we have a selection of books appropriate for high-level readers. The purpose of which is to provide a greater challenge and to allow the exploration of a greater range of themes. 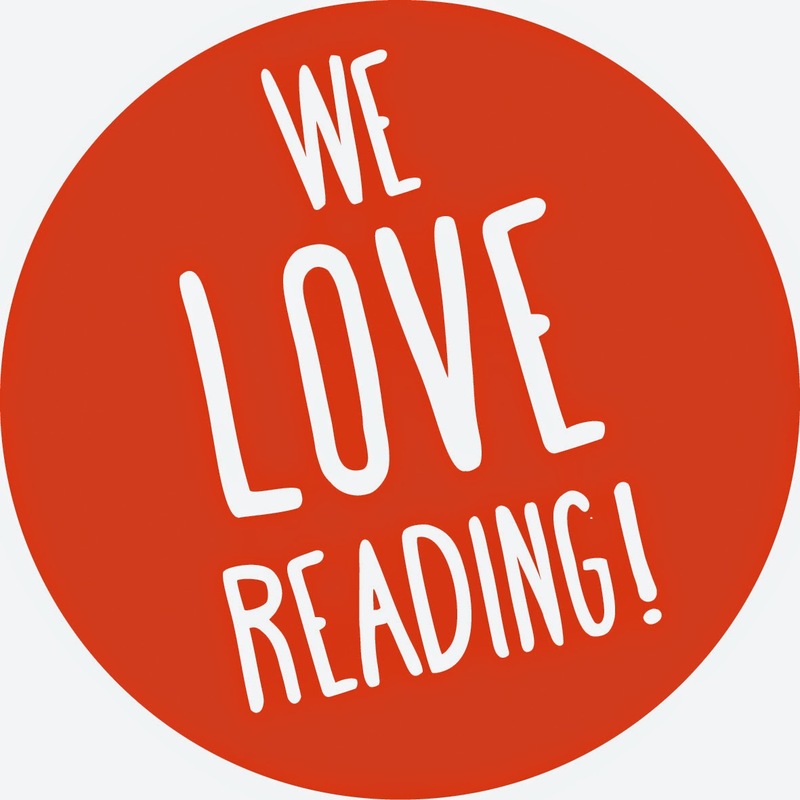 Some of these books may be unsuitable for younger readers due to the subject matter, which is aimed at much older children (Secondary School and beyond). Parents and Carers are invited to opt in to this service if they wish their child to borrow this type of reading material from the library. I would appreciate it if you could confirm your agreement that your child may borrow from this list by signing the permission slip on the letter that has been sent home. Please return it to the school office. 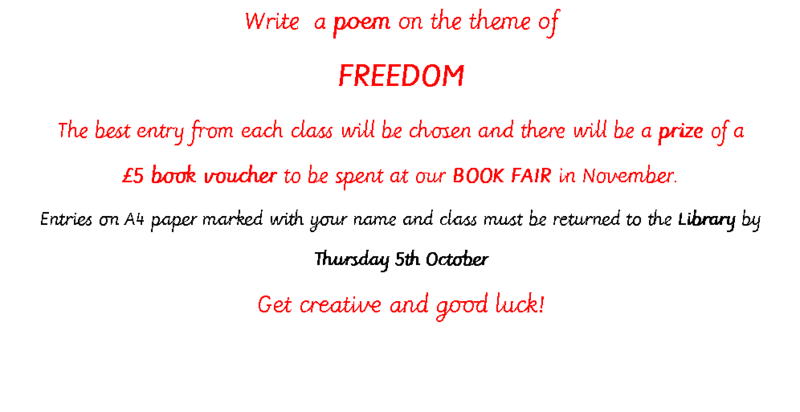 To celebrate we are sharing poetry in the library during our class sessions for the next few weeks. We have a wonderful and varied collection of poetry books for all age groups. Come in and browse our Poetry Tree! St Joseph's made the news with it's Roald Dahl Day celebrations. Check out the Ham and High, 21 September issue. 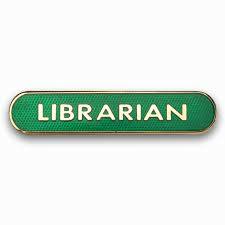 They will be helping with the running of the library during this Autumn Term, learning about how libraries work and giving tips to their peers on the best books. Each librarian will be issued with a special pin so please respect any instructions they give when using the library. Go along to Archway Library on Monday 25th September at 6pm to listen to Moomin historian, Ant O'Neil read his translation of the last ever Moomin story written by Tove Jansson. There will be rarely-seen photographs to accompany this reading. 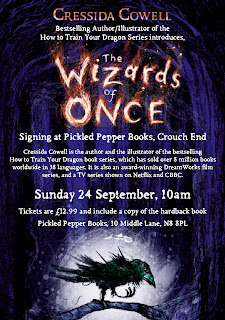 A real treat for Moomin fans! 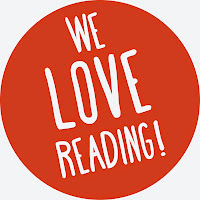 Have a fun and literary weekend! On Wednesday 13th September St Joseph’s Catholic Primary celebrated Roald Dahl day in style with a Dahlicious Dress-up. 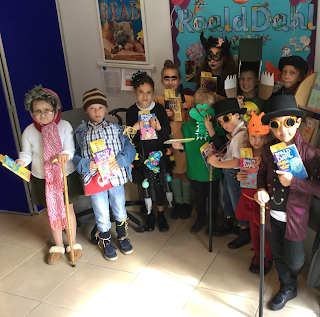 All the children came into school dressed as their favourite character from Roald Dahl’s books. 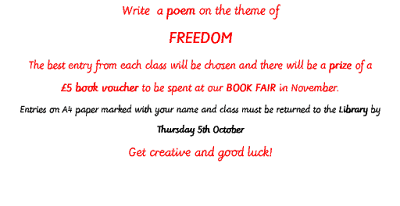 We had a competition for the best costumes and the winners received a Willy Wonka style ‘golden ticket’ which they exchanged for a copy of one of Mr Dahl’s amazing books. Through-out the day the children took part in various phizz-whizzing activities including quizzes, drawing and games to celebrate the World’s No.1 Story-teller. Congratulations to all those children who won a 'Golden Ticket' and a copy of a Roald Dahl book for their fabulous costumes. The award-winning children's author, Gillian Cross, came to St Joseph's on the 28th June when we were hosting London Grid for Learning's (Lgfl) ReadingZone Live event. The Islington Gazette published their July 27th issue the following article on Gillian Cross' visit. Well done to our Year 5 children who participated in this event and made it such a success. 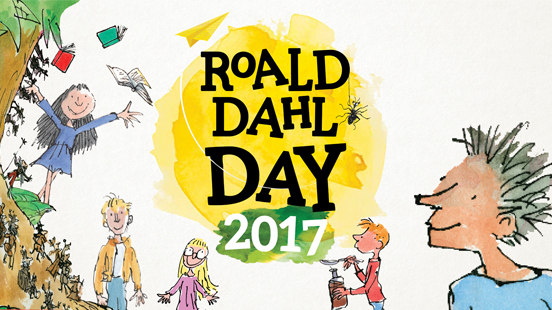 Roald Dahl Day takes place on 13 September every year and marks the anniversary of the birth of the world’s number one storyteller. 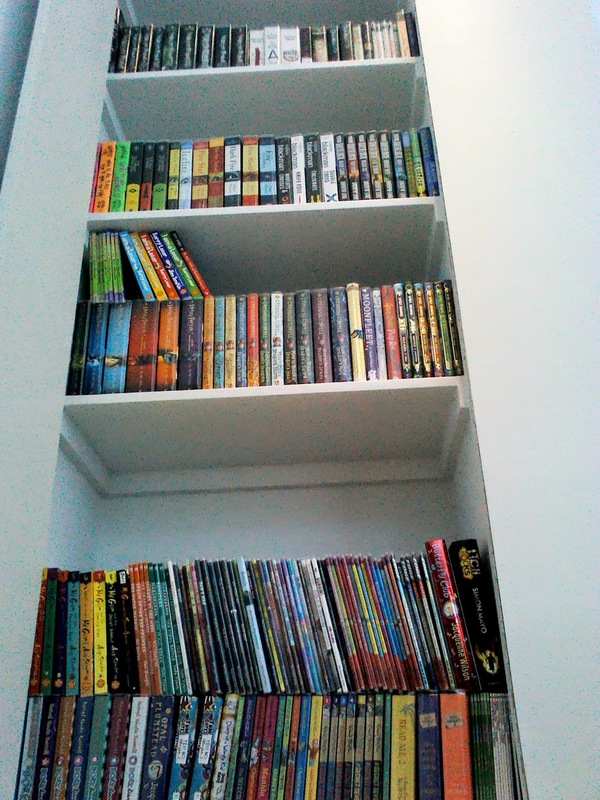 He wrote 39 books for children and adults, creating many ‘gloriump-tious’ characters such as Charlie Bucket, Matilda Wormwood, The Twits and the BFG. To celebrate we invite children in Year 1 – 6 to come dressed as their favourite Roald Dahl character. 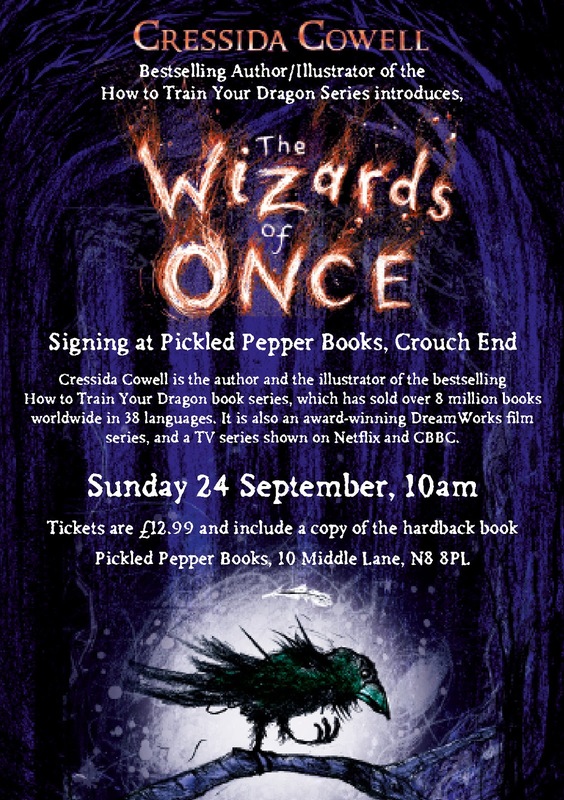 There will be a COMPETITION for the best costumes and the winners will receive splendiferous Roald Dahl books. We will be hosting various phizz-whizzing activities to celebrate.